If you’ve ever searched for images to use on a website, blog or business presentation, you probably know that great photos often come with steep license fees. Lobster is changing that equation by opening up access to millions of images created by social media users. I wrote about Lobster in 2014 when the service was just getting started by giving Flickr and Instagram users the ability to earn money by making their images available for licensing at affordable prices starting at less than a dollar. Since then, Lobster has expanded its platform to include Google Photos (previously known as Picasa), which has more than 2 million photos and about 7,000 active contributors. 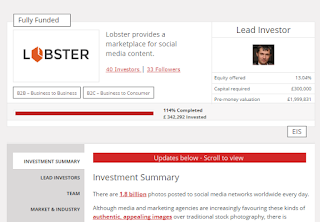 Lobsters has also completed a funding campaign on the equity crowdfunding platform SyndicateRoom where it sailed past its target of £300,000. Olga Egorsheva, CEO & Co-founder of Lobster, said the new investment will be used to fund the company’s global expansion efforts. 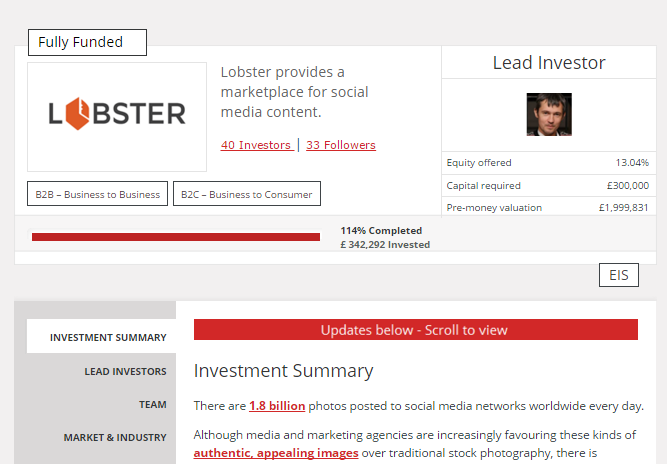 Egorsheva said Lobster plans to add as many as 12 more social media content sources in the year ahead. 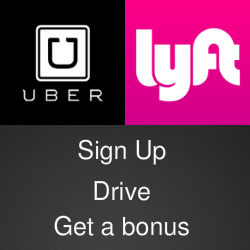 For more information, check the video below and visit the Lobster website.